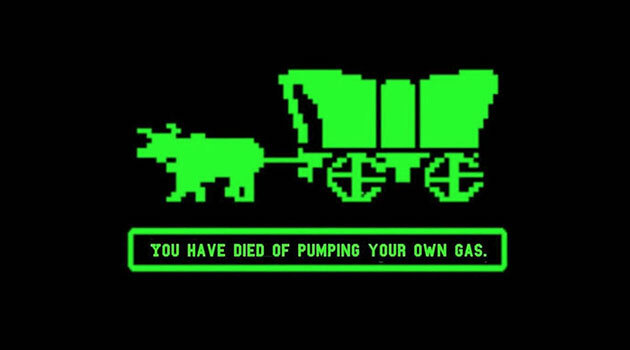 Oregonians were allowed to start pumping their own gas for the first time in 2018, and the results have been hilarious. As the country jumped into 2018, New Year’s resolutions rang out. Predictably, many goals will be dropped weeks into January. However, drivers in Oregon face somewhat of a forced resolution: learning to pump gas. For years, Oregon drivers deferred to gas station attendants when their fuel levels were low. 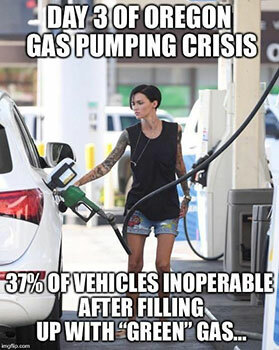 But since House Bill 2482 took effect, these drivers must now take matters in their own hands when gassing up. 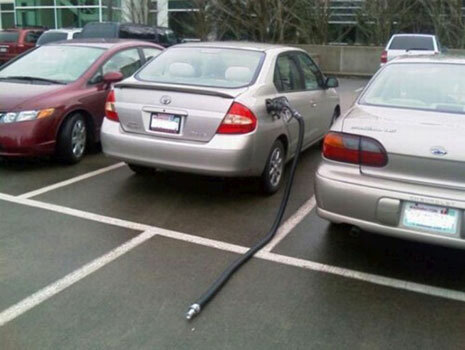 The bill does not ban gas stations from employing pump attendants, though it does legalize the ability for drivers in the Beaver State to pump their own gas. Specifically, low-population counties in Oregon will be the first to implement the new self-service rule. The change may seem innocuous to most American drivers, as New Jersey is now the only state that disallows drivers from pumping their own gas. Legitimate worries regarding physical ability and competence were initially voiced, but as the issue snowballed, unforeseen concerns came to life. “Pumped my own gas my whole life and now my hands have literally melted down to my wrists. I’m typing this with my tongue,” wrote a Michigan native in a facetious comment on a KTVL CBS 10 Facebook post. 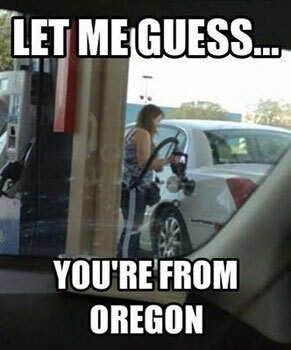 Oregonians can never fly under the radar when having to pump gas. 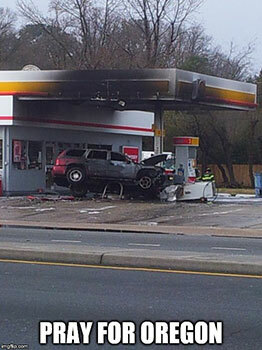 Drivers from the state are usually pretty obvious at the pump. Apparently, the law is even impacting gas station infrastructure. 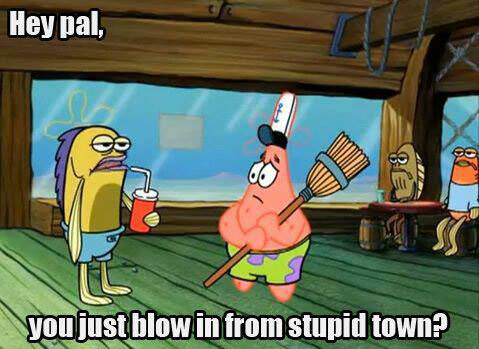 Pictured below is a typical Oregon driver pumping gas for the first time. 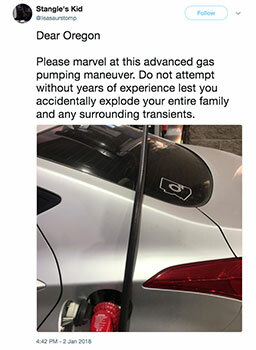 Some drivers quickly picked up advanced pumping techniques! On the other hand, some did not. And in some cases… catastrophic destruction. 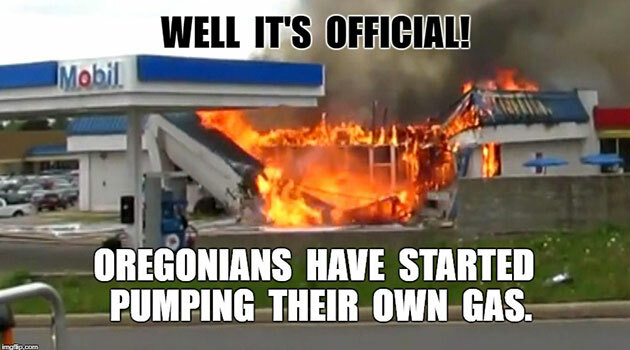 Now, even more viral than these .gifs and memes, is the new hashtag #PrayForOregon. Despite receiving a mass amount of social media attention, the new law may not bring as much dreaded change as Oregon residents predict.